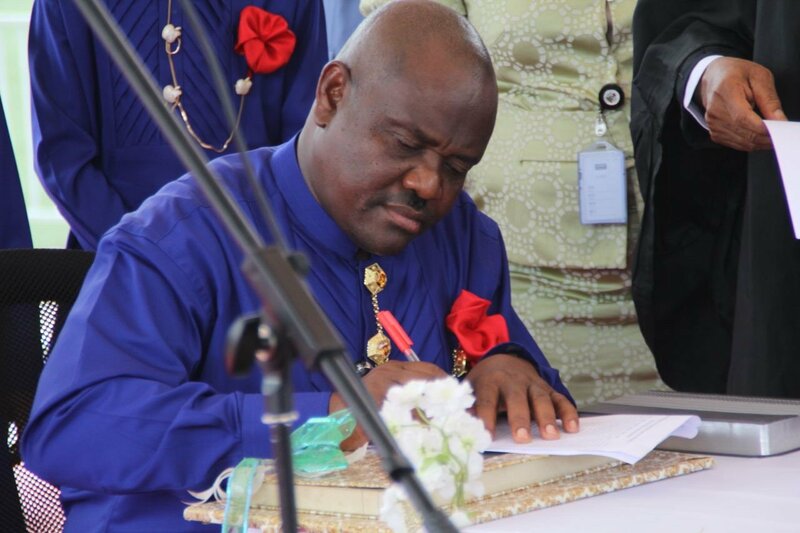 Governor Nyesom Wike of Rivers State has declared that no official of the state government will appear before the Economic and Financial Crimes Commission (EFCC) for investigations until the commission approaches the Court of Appeal to set aside the 2007 judgment barring it from investigating the state. “They filed for leave to appeal the judgment at the Court of Appeal. Until they set aside the judgment, we will not come,” the Governor declared. Governor Wike said that the media trial by the EFCC will amount to nothing, pointing out that the Rivers State government was aware of the move before it even started. “This media war by the EFCC will not work. We stand on the rule of law,” he was quoted as saying in the statement. It will be recalled that while speaking on the freezing of Akwa Ibom State and Benue State accounts recently at the Government House in Port Harcourt, Governor Wike said that the ultimate target of the APC-led federal government was Rivers State, claiming they have already detailed the EFCC to carry out very unconstitutional activities. “There is no worse impunity than for the EFCC to shut down a tier of government through the freezing of the accounts of two state governments. “But the target is not Benue or Akwa Ibom States. The real target is Rivers State. The EFCC as a federal agency has no business with state funds. That is the responsibility of the State House of Assembly,” Mr Wike said. He said that Rivers State government under one of its former Governor, Dr Peter Odili, obtained got a court judgment that the EFCC has no constitutional power to investigate state funds, pointing out that the EFCC is yet to vacate that order at a superior court. Governor Wike noted that the APC-led federal government has continued to use the EFCC for illegal actions in Rivers State, despite the Attorney General of Rivers State writing to the EFCC and attaching the said judgement against the federal agency.